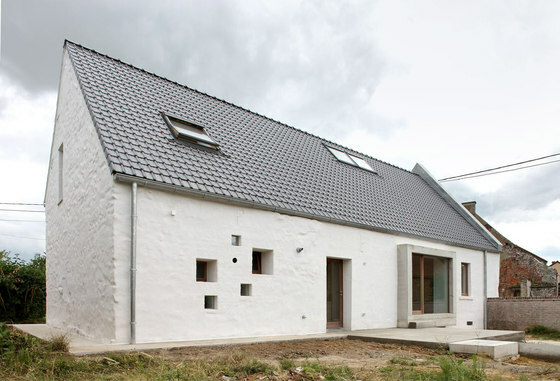 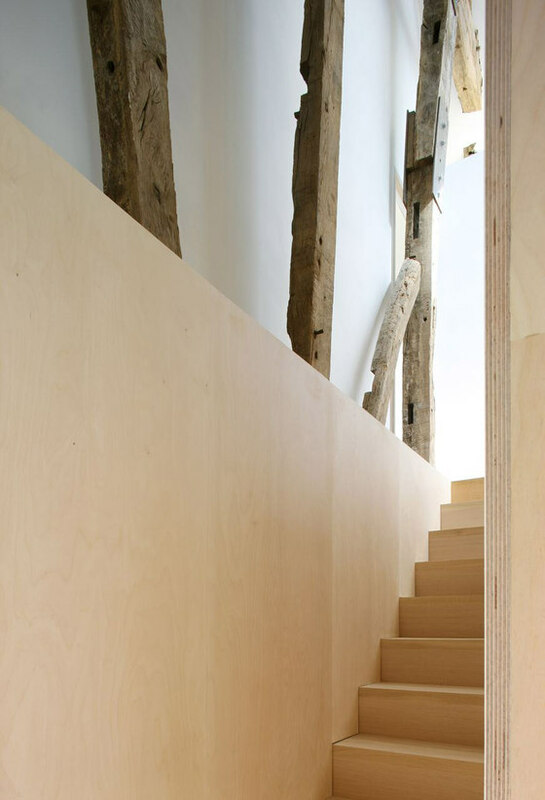 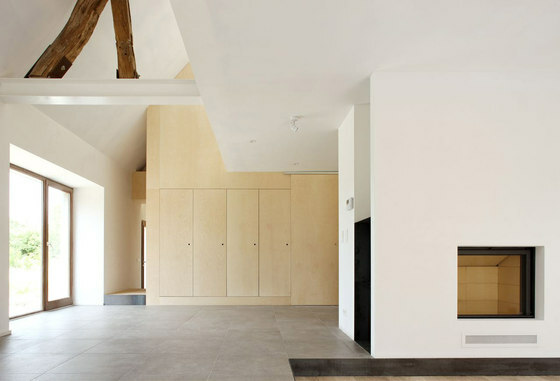 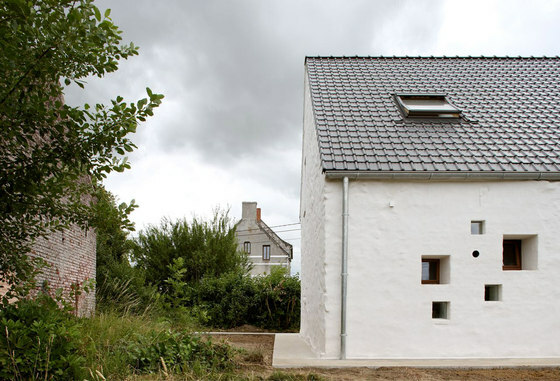 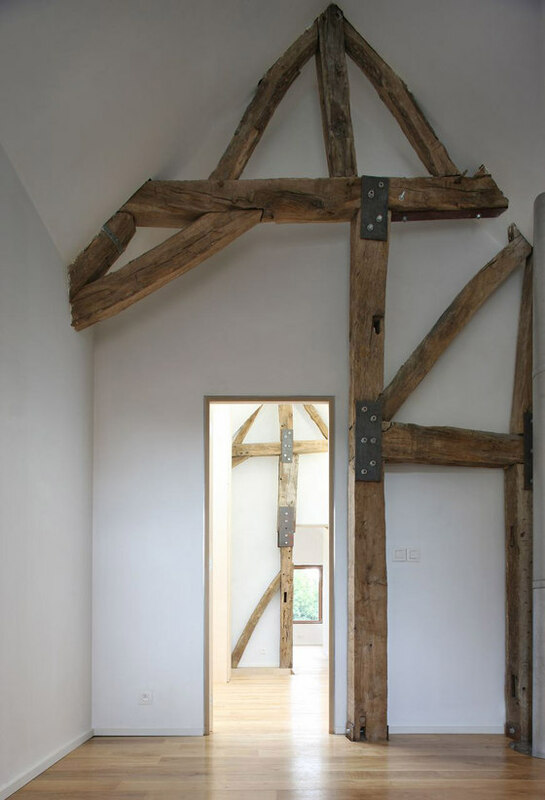 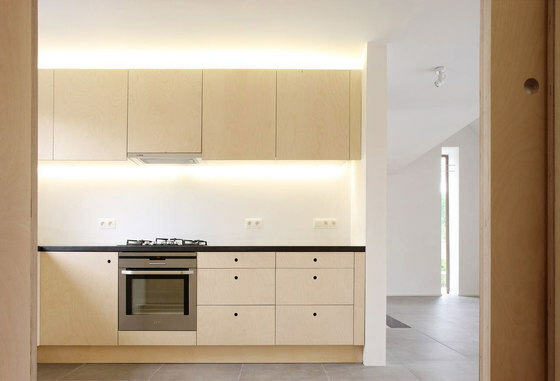 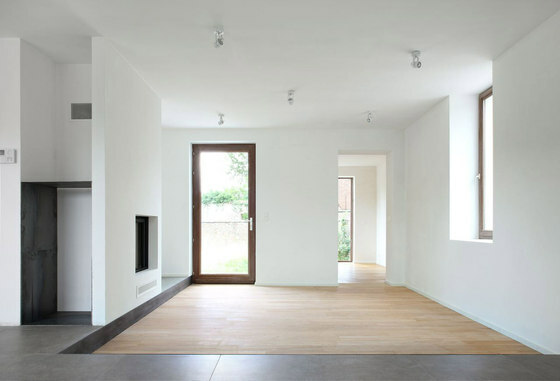 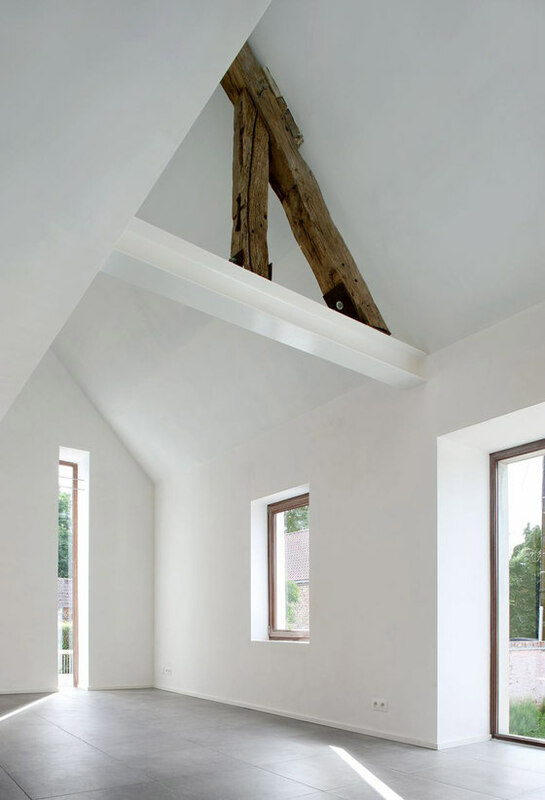 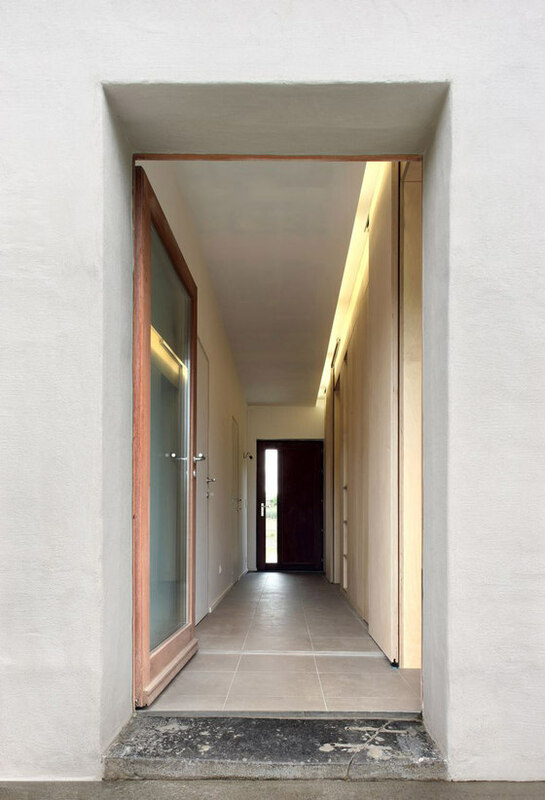 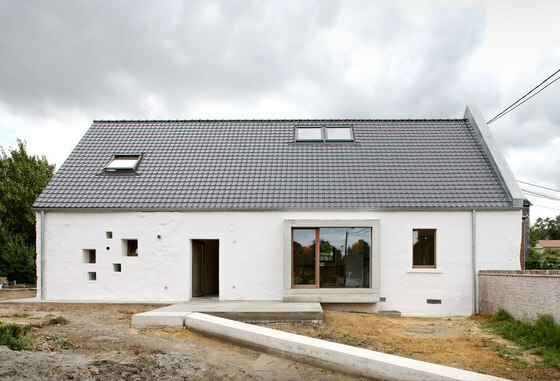 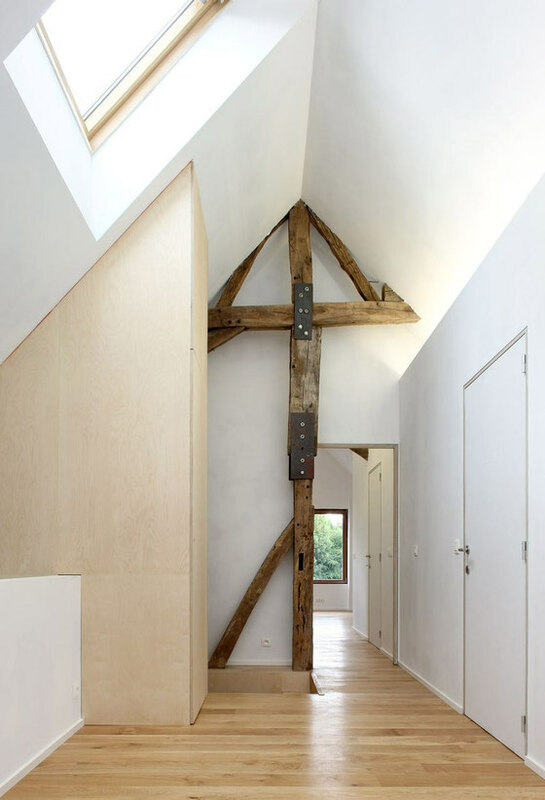 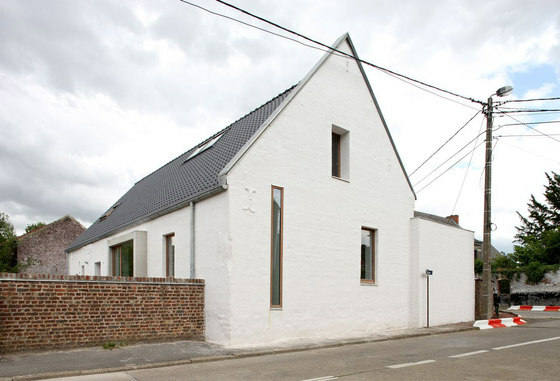 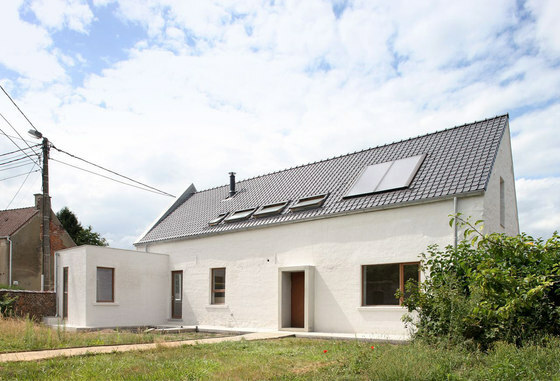 The request of the client was the transformation of an old farmhouse composed of a main building and a cattle shed. 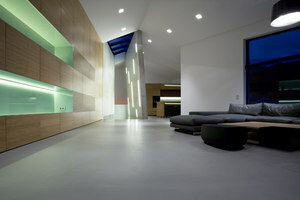 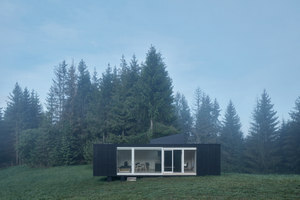 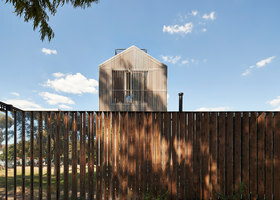 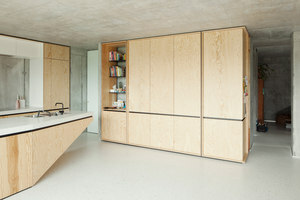 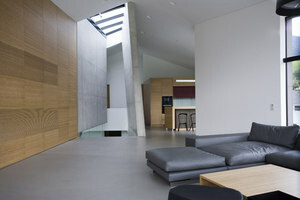 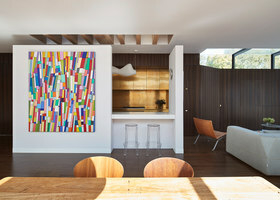 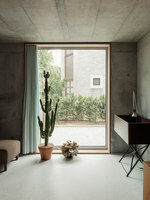 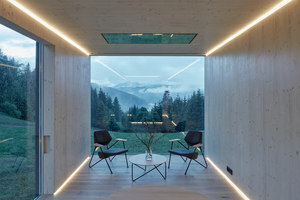 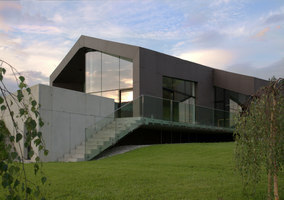 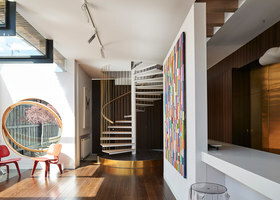 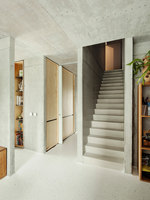 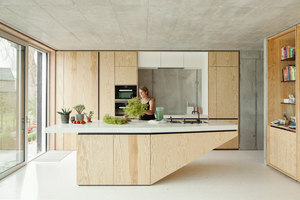 Following the first studies, the attention was focused on the main building, chosen by the client to install its house. 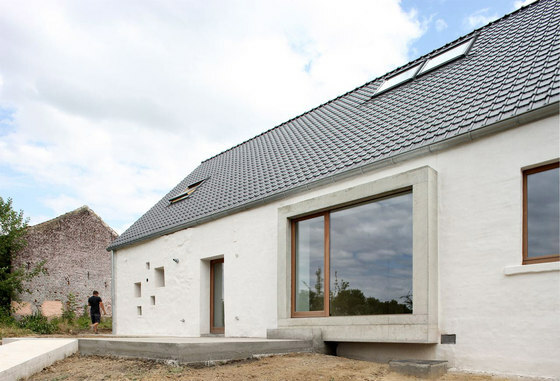 We wanted to set ahead the elements that have a significant architectural value: the masonry or the wooden structure of the roof for example. 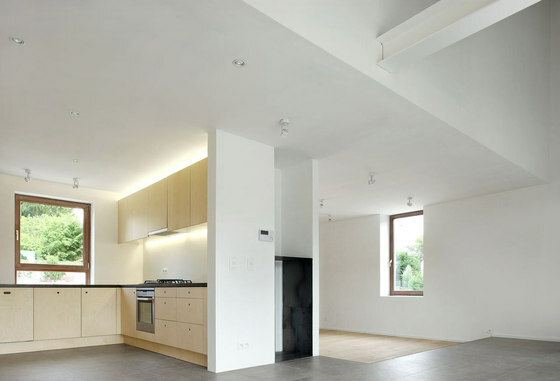 This upgrading was supplemented by some specific contemporary interventions on the outside and by a deep refitting of the interior spaces. 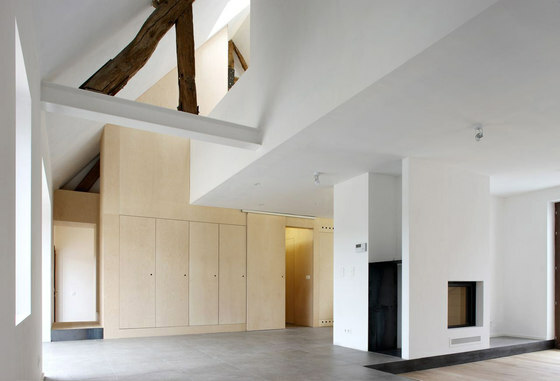 The dwelling, very decayed, was the object of a heavy restoration, only the basic structure (walls and roof structure) was preserved. 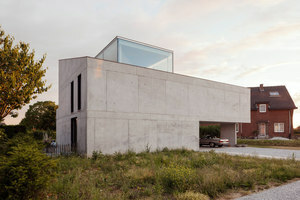 A special attention was given to the structure: much reinforcement, out concrete, fastenings and ties, were necessary to maintain the existing structure. 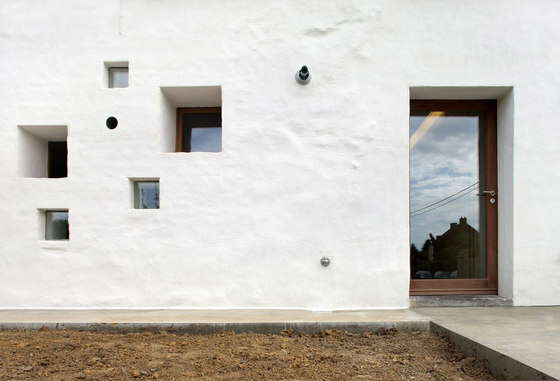 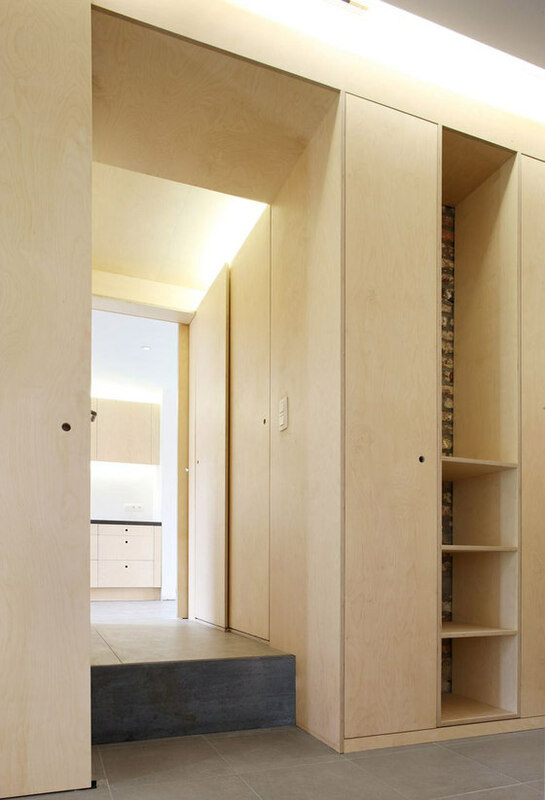 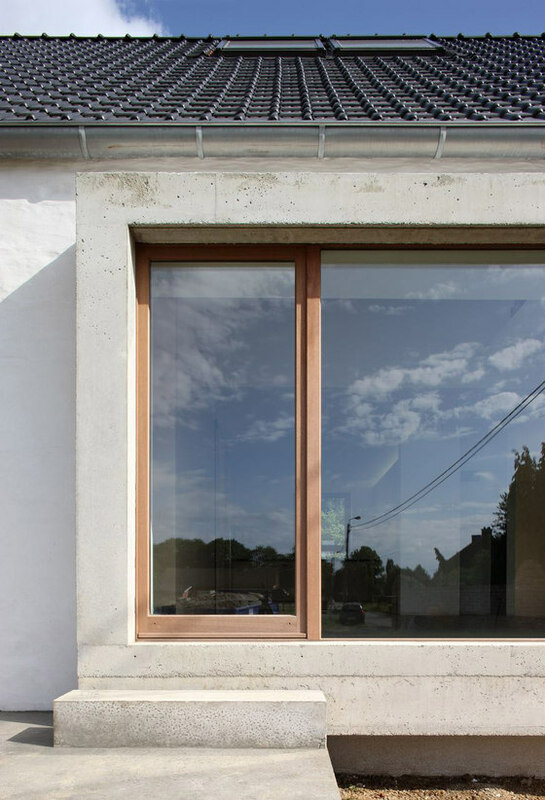 On the outside, the “contemporary” interventions are keys between the old architecture and the new elements.